Doctors in the UK recently made history by using a special camera to live-stream a 360-degree view of an operation to remove cancer tissue from a patient's bowel. While maybe not the coolest thing to see in 3D, up close and personal, the technology is nonetheless getting better and better. Medical experts now hope that continuing to live-stream these virtual reality surgeries will improve the training of surgeons worldwide. The goal is to continue building up a library of content that allows medical students to remotely stand in surgeons' shoes for teaching purposes. Privacy issues aside, there is considerable merit to using virtual reality technology as a way to reduce costs and increase training effectiveness. Virtual reality is making its way into banking as well. To meet customer demand for human interaction in a cost-effective way, some banks are rolling out video banking services that allow their customers to interact with "live" tellers, in some cases from the comfort of their own home. To help you understand how banks are using video capability, we offer a few real-life examples. Lloyds Bank and Halifax recently announced that customers at home can now interact via video link with a mortgage advisor using their personal laptop, desktop or tablet computer. The service was tested successfully last year and the company boasts positive results. It says a third of appointments that would have been completed over the phone are now conducted via video and that 95% of customers rate the experience as good or excellent. The move comes about 2Ys after Barclays became the first bank in the UK to launch an online video chat system that allows customers to speak "face-to-face" with an adviser via their smartphone, tablet or computer, wherever they are in the world, whatever the time of day. Other banks offer more limited video services. In 2014, Nationwide Building Society, also out of the UK, launched a service available at more than 60 of its branches that allows customers to talk to a mortgage consultant via a video link. On this side of the Atlantic, Bank of America began in 2013 to allow customers to speak to a teller on-screen at select ATMs during specified hours. Wells Fargo is also rumored to be rolling out a video chat service this year, but details are scant. Video is certainly becoming a more integral part of banking. Consider the findings of a recent research report that uncovered widespread support for video banking among financial organizations worldwide. It found nearly 80% of all banks polled said they plan to offer video-enabled banking services. The report was co-sponsored by Efma, a not-for-profit association of 3,300 retail financial services companies worldwide and Vidyo, Inc., a video technology company. The research included data from meetings with 63 banking professionals from 24 countries. Additional data was collected via an online survey, with 136 bankers in 52 countries responding. Here's a rough break down of the 80% of banks planning to use video banking: Approximately 25% currently have or are piloting a video banking service; 24% will begin planning for a video banking service within the next 12 months; and 30% expect to begin planning sometime in the near future. Also noteworthy is that more than 80% of banks polled recognized that online and mobile banking channels improve customer engagement. Finally, 93% of banks said they expect customer satisfaction to improve if a high quality video banking service were to be implemented. In our mind, there's no substitute for real, face-to-face human interaction. 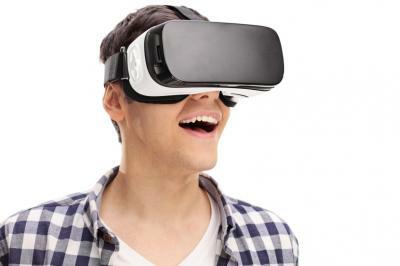 But, as customers become more determined to bank on their terms, banks that take a 360-degree view will see virtual reality becoming a more viable option. Amid a light day in markets, yields were little changed, moving up 1bp. The CFPB has charged All American Check Cashing of using deceptive tactics that included refusing to disclose check cashing fees, making statements to hide fees, pressuring borrowers into taking out payday loans, and keeping overpayments. Google announced it will no longer allow payday loan companies to advertise starting in July and will refuse any advertisements for loans with annual interest rates of 36% or higher. Google said it was taking the action to protect its users from "harmful financial products." Payday lenders reacted quickly, calling the ban discriminatory and illegal and asked state and federal regulators to intervene. A survey of Millennials worldwide by Deloitte finds factors cited as very influential when making work decisions among those who are heads of departments or above include: personal values and morals (64%); impact on customers (60%); personal goals, ambitions and career progression (58%); being true to the organization's values or overall sense of purpose (57%) and meeting the organization's formal target or objectives such as profit or revenue targets (56%). A survey by Harris Poll on behalf of Feedzai finds 51% of Americans say they don't trust any company with their personal data and only 25% trust banking sites the most with their information.